Create an account with Aertv today and get notified about live sports events we’re broadcasting. It’s free to create an account, so sign up today! A massive 12,000 schools athletes have participated in the Championship qualifiers since January and there is huge interest in the event being broadcast live. The races begin with the minor girl’s at 12pm and concludes with the men’s universities race at 3.10pm. The Senior Boys race at 2.40pm is expected to be the highlight of the day with a highly anticipated battle between Kevin Mulcaire (St Flannans Ennis) and Jack O’Leary of the host school at Clongowes Wood College. Mulcaire has dominated cross country running at junior level lately with recent victories at the Munster Schools (12th February) and GloHealth Inter Club Cross Country Championships (1st March). He will start as the favourite to win the title however O’Leary will no doubt be inspired by the home support and will do his upmost to challenge for the title. 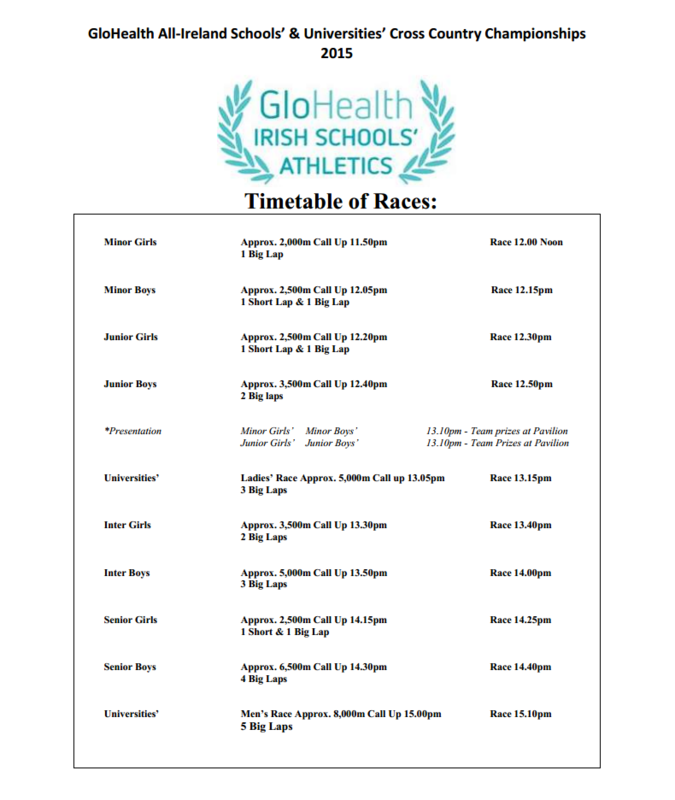 The intermediate and junior races have the added spice of acting as the trial for the SIAB Schools International to be held in Santry Demesne on the 21st of March. The top eight across the line will earn themselves a place on the Irish team for the international fixture. This is the third live event of the 2015 season that Aertv and Athletics Ireland are partnering on to provide full live coverage with commentary from the energetic and witty Jumping the Gun team.